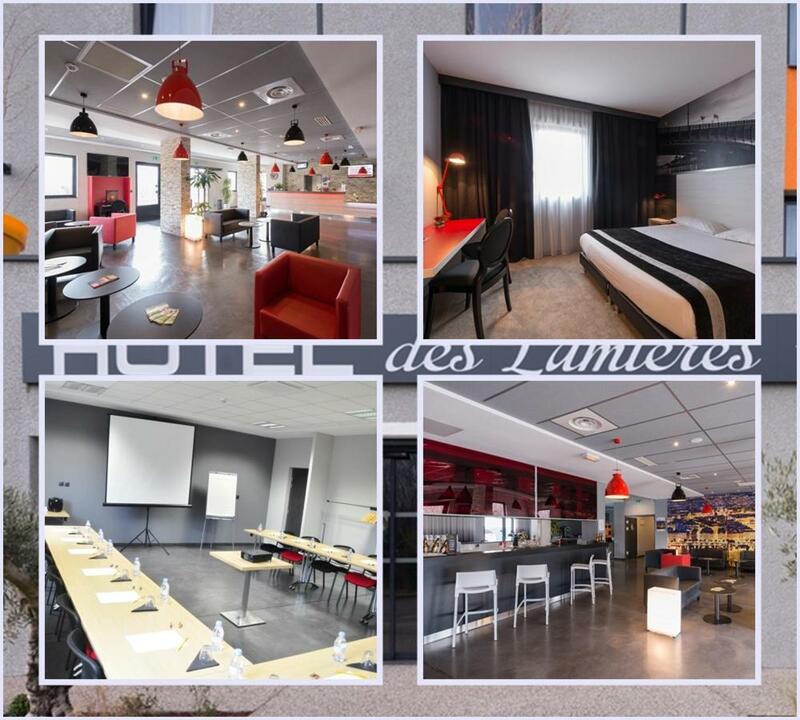 Featuring a terrace and a restaurant, Hôtel des Lumières is a non-smoking hotel located in Meyzieu, 10 minutes' drive from Eurexpo Exhibition Centre and 15 minutes' walk from the T3 tramline. Free high-speed WiFi access is available. 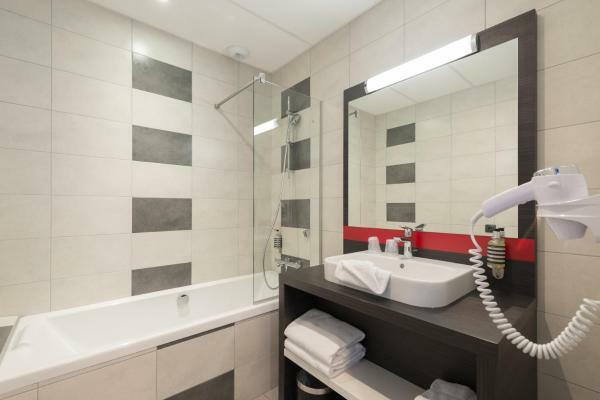 The air-conditioned rooms offer a flat-screen TV and a private bathroom with a bath or shower. The suites also feature a seating area with a sofa and a flat-screen TV. Some rooms are also suitable for disabled guests. A hot and cold buffet breakfast is available daily at an extra charge and there is also a bar on site. A restaurant is accessible next to the hotel. 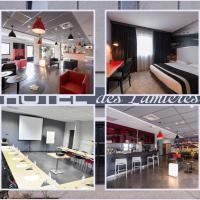 Hôtel des Lumières offers a 24-hour front desk, 3 meeting rooms and luggage storage. 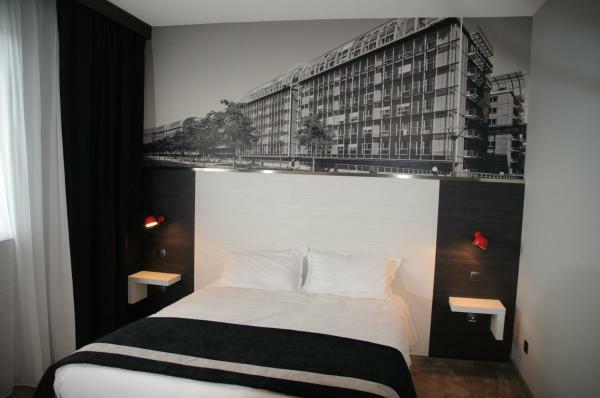 Lyon Part-Dieu Business Centre can be accessed in 30 minutes by public transport. 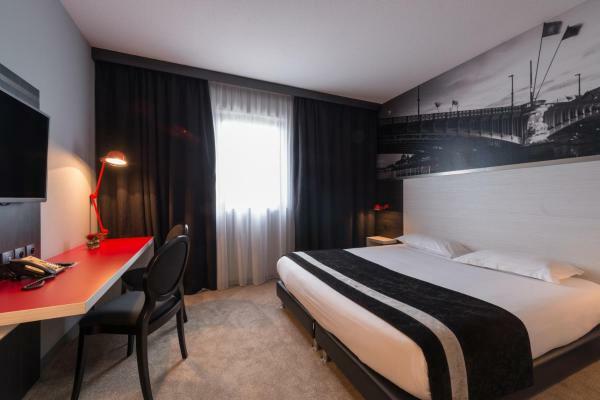 The property is 5 km from both Rocade Est Motorway Access and Sade des Lumieres Stadium. Lyon Saint-Exupéry Airport is 5 minutes' drive away. Free parking is possible on site. Please note that upon arrival, guests must present a valid credit card in their name and sign a guarantee. A pre-authorisation of EUR 200 minimum will be made on the credit card on weekdays and EUR 600 minimum weekends. Without this guarantee, the reservation will be considered as a no show. Please note that check-in is from 17:30 and check-out is at 12:00 at the latest. Early check-in available upon request for an extra charge. 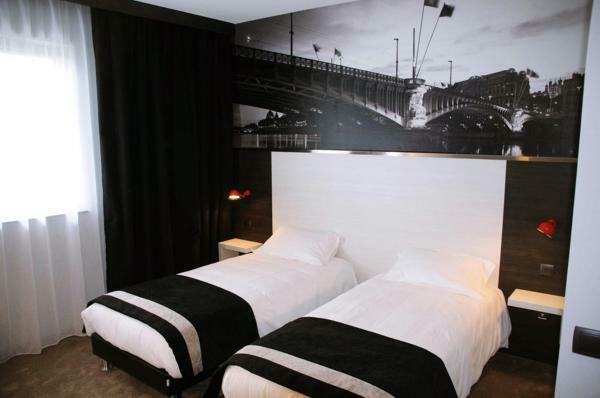 Late check-out may result in a fee equivalent to 1 night's extra stay being charged. Guests are required to show a photo identification and credit card upon check-in. Please note that all Special Requests are subject to availability and additional charges may apply. This property will not accommodate hen, stag or similar parties. This property is located in a residential area and guests are asked to refrain from excessive noise.